This post contains affiliate links, and we will be compensated when you make a purchase by clicking through the links. Read disclosure policy here). 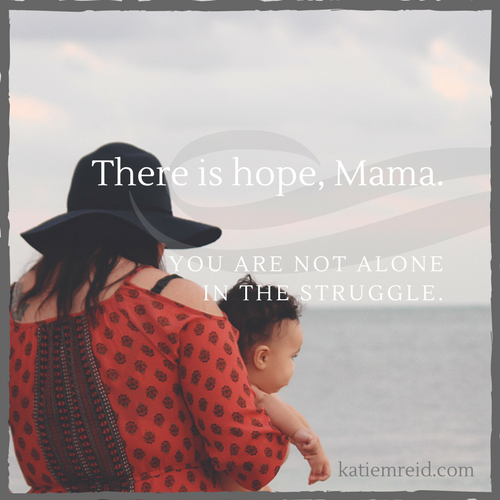 There is hope, busy mama, even in the mayhem. There are many pressures on mothers these days. Pressures to: feed your kids the freshest and healthiest ingredients, choose the best schooling option, decorate your home with the latest trends, sport a toned body, and be attentive to your families while staking your claim in the marketplace…and the list goes on and on. Keeping things balanced can feel like an uphill climb for busy moms. When I hear the word “balance” it makes me think of my one and only gymnastics meet, where I fell off the beam multiples times. I tried to perform perfectly—with flawless poise—but toppled under the pressure. The same can happen to us, if we approach balance as something we need to perfect. It’s impossible to give equal attention to everything on my plate, but I can ask God to help me see who, and what, needs my attention at present. When I think of all there is to do, it is overwhelming, but when I focus on what’s next, it’s feels more doable. When we receive God’s grace and extend it to others (remembering we are humans not machines) we learn to work from a place of peace instead of striving, knowing that it’s not all up to us to keep the world in tact. I want to faithfully steward that which God has entrusted to me. But I need His strength and help to do that—to be faithful with what, and who, is mine to care for. It can be overwhelming to think of balancing all the plates that we juggle as busy moms. But when we ask God to help us steward well, taking one moment at a time—we’ll feel less intimidated by this notion of balance. « Are You Living With a Hired-Help Mentality?